Arrive in style! 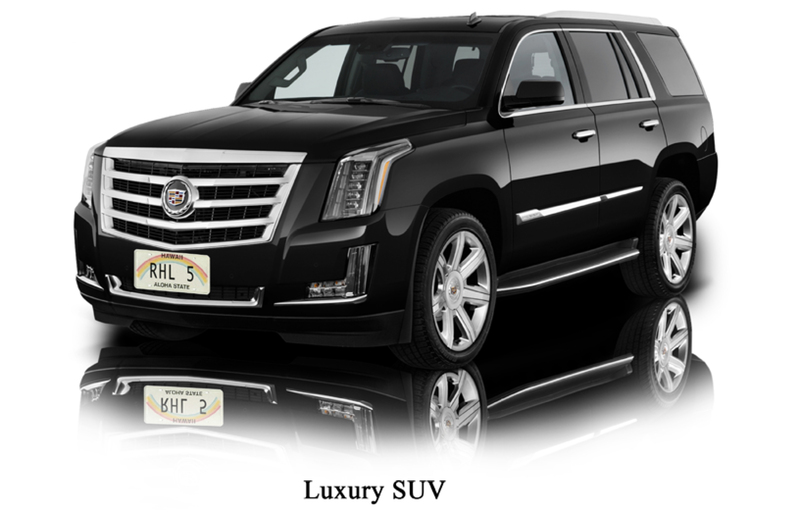 Our Luxury SUV Services are a step above your usual taxi or airport shuttle service. It’s the ultimate in getting to your hotel from Honolulu International Airport and vice-versa. Get the VIP Treatment without the VIP price. Royal Hawaiian Limousine has been in the luxury limousine business for over ten years, and has become the most trusted name when it comes to executive and luxury car services from Honolulu Airport to hotels in Waikiki, Kahala, Ko Olina and the North Shore. Our professional and highly trained chauffeurs will add that touch of class and upscale experience from the moment you are greeted at the airport until you are greeted by your hotel’s bell hop. Along with the high-class experience, your vehicle will be clean, safe, and fully insured to make sure that your one-way or round-trip transportation is hassle-free. Royal Hawaiian Limousine will make sure that your airport transfer service will be one of the highlights of your visit to Hawaii. Call us to discuss your upcoming trip, or book your luxury SUV airport transportation service via our website today! Don’t forget to add a fresh Hawaiian lei greeting.